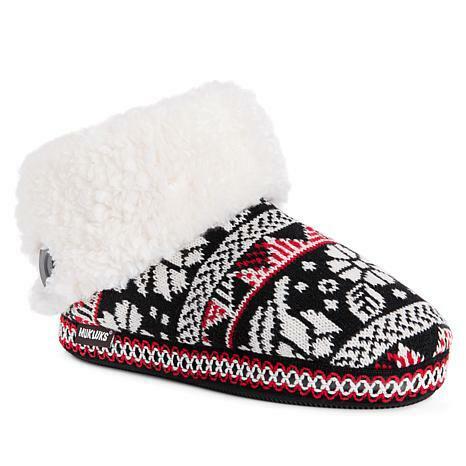 Go where the morning takes you in a slipper bootie designed with Fair Isle knit patterns and soft faux sherpa. The coffeehouse won't be off limits thanks to the indoor/outdoor sole. 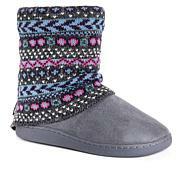 I really like these booties. Exactly what I was expecting. The were okay feeling on feet but I just couldn't get past how ugly they were! If I was camping and looking my worst maybe I would wear these but I wouldn't be walking outside for neighbors to see me in nor my husband. Just plain ugly!